As reported earlier in the year, Italy is the current Number One producer of wine in the world. The findings came from the European Commission, which stated that Italy had produced 4.96 billion litres of wine in 2010, as compared to its main rival, France, which had produced 4.62 billion litres. This is a real boon for Italy's wine producing regions – but what exactly makes Italian wine the main choice all over the world? Even in the first quarter of 2011, the outlook remains positive, with a 31% increase in export to the United States of America and an even more impressive 146% to China. Other countries such as Britain and Germany are also making the most of Italian wine – in Britain, sales of Italian wine have increased, according to industry figures from shops, supermarkets and off-licences. By the year ending March 2011, Italian sales in Britain stood at £755 million. One of the notable findings to come out of these British statistics is the fact that Italian wine is relatively cheap, compared to some other countries' offerings. A report from Off Licence News found that the average price of a bottle of Italian wine was £4.23, as compared with the overall average price of £4.51. Part of this appeal is what's known as the Pinot Grigio Effect. Although it originated from Alsace (where it is known as Pinot Gris), Pinot Grigio is still one of Italy's most popular white wines. Pinot Grigio is popular throughout the world, as a result of both its value and its popularity at dinner tables or parties. In Britain, it is the third most popular choice, following only Chardonnay and Sauvignon Blanc. The growth rate of Pinot Grigio is at 17%, and is slowly closing in on its nearest competitor, Sauvignon Blanc – a Nielsen report has indicated that it could take the number two slot if sales maintain their current run. Sales of Prosecco have also increased in the past year. The signature sparkling wine from Italy has proved to be hugely popular, as people have opted for a better value alternative to champagne. For example, in the United States Of America, imports of Prosecco almost doubled between 2005 and 2008 to over 500,000 cases. In 2010, findings from the UK Wine Landscape Report found that the amount of Prosecco drinkers grew from 8% in 2007 up to 15%. Again, Italy has outperformed France in the sparkling wine stakes – 420 million litres of Prosecco were produced, while France produced 400 million litres of champagne. Prosecco's popularity is attributed to its pleasant taste and its sophisticated image – and again, a key factor with Prosecco is that like Pinot Grigio, it's a good value wine – bearing the current economic climate in mind, it's little wonder that these wines are selling so well across the globe. An interesting fact when comparing the output of Italy and France is the notable difference in territory size. Domenico Bosco, of the Italian Agricultural Workers Union, Coldiretti commented: “The increase in Italian production must also be compared to the fact that the territorial size of the French vineyards is far larger than our ones.” A possible reason for this difference between French and Italian produce is to do with climate change. In recent years, French vineyards have been affected by warmer weather and less rainfall. Lack of rain in turn leads to dry grapes and leaves – on the other hand, Italy is less affected by this problem, thanks to its coasts keeping the weather cooler. As a result, the weather poses less of a threat to Italian vineyards, leading to a much more prodigious crop. But Italy is powering through with its wine exports, and this successful strategy is paying dividends. Statistics from the OIV (International Organisation Of Vine And Wine) show that Italy is the globe's biggest wine exporter – exports grew by 7% between 2009 and 2010, as 20.6 Mhl went to the international wine market – ahead of Spain (16.9 Mhl) and France (13.5 Mhl). 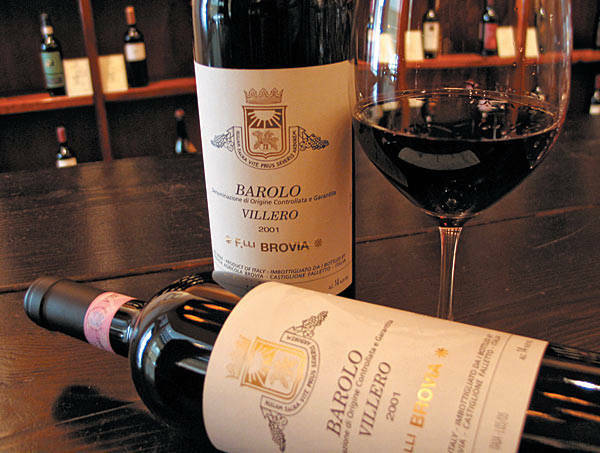 Industry data also found that Italian wine exports rose to 3.9 billion euros. So with that in mind, Italy is looking to build on this success by continuing to export to countries such as Germany and the United States Of America (which are regarded as the biggest drivers for growth), but also BRIC countries. Lamberto Vallarino Gancia, chairman of Italian trade body Federvini, said that countries such as Brazil and China are good potential drivers as they are small but rapidly growing locations. And already it looks as if 2011 could be another winning year for Italy – Gancia commented that total export sales are expected to grow by about 10%. And it's likely that all across the globe, consumers will continue to sample the delights of Italian wine, regarded as the drink that not only offers good value, but a delightful taste, and a much more fashionable image than some of its counterparts. As Domenico Bosco concludes: “Made in Italy wines, besides providing better value/price ratio, are considered more fashionable than French wines, which are instead considered luxury or niche goods. Italian wines, instead, penetrate a smarter and even wider range of quality consumption”.